Dzongu, the holy land of the Lepchas, lies in the North District of Sikkim amidst steep inclines and deep valleys in the last range of earth covered hills ahead of the rocky Himalayan snow clad peaks. An almost virgin territory with a scanty population of Sikkim’s native inhabitants, the lepchas. It is the untouched heaven in the Northern Sikkim with a striking beauty. It is a beautiful land of dense jungle groves, mountains and pristine glacial streams that nurture both the human and natural habitation around. Numerous waterfalls cascade down steep cliffs and bubbling hot springs can be found hidden beneath the shelter of caves. In other words, a pristine and soothing natural world with tiny beautiful Lepcha hamlets and divine calmness characterizes the place. Dzongu has been established as an official reserve for the Lepcha people, the aboriginal inhabitants of Sikkim. The Lepchas have strong ties with the nature and have lived here for centuries. We are proven to be the best taxi service provide in Dzongu Homestay Sikkim. 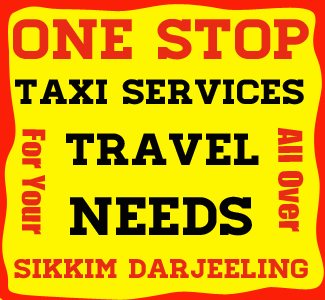 We provide - NJP to Dzongu Homestay Sikkim Taxi Services, Bagdogra to Dzongu Homestay taxi Services, Gangtok to Dzongu Homestay Ttaxi services, Siliguri to Dzongu Homestay taxi services, Kalimpong to Dzongu Homestay taxi services, Pelling to Dzongu Homestay taxi services, Darjeeling to Dzongu Homestay taxi services, Dzongu Homestay to Gangtok cab rental, Dzongu Homestay to Zuluk cab rental, Dzongu Homestay to Darjeeling cab rental, Dzongu Homestay to Kalimpong cab rental, Dzongu Homestay to Pelling cab rental, Dzongu Homestay to Siliguri cab rental, Dzongu Homestay to NJP cab rental. We also provide packege tour over Dzongu Homestay. Tourists has to travel from Gangtok city to Dzongu on first day by booking a full or Shared Vehicle. Next day they can go for sightseeing at Dzongu. Gangtok to Dzongu : approx 80 kms. Due to its advantageous location, many homestay have come up in and around Dzongu catering to varied tastes and budgets. Best time to visit Dzongu is during the months of Jan, Feb, March, April, May, June, Sep, October, Nov, Dec. However the roads are open through the years. It may get closed on some of the days in July, August due to heavy rainfall.